Second post for today. My first post for Winnie & Walter is HERE. I played with masking fluid yesterday using Debby’s technique at Mask-erade Online Card Class. It was so much fun. Got addicted to it just practicing making backgrounds. 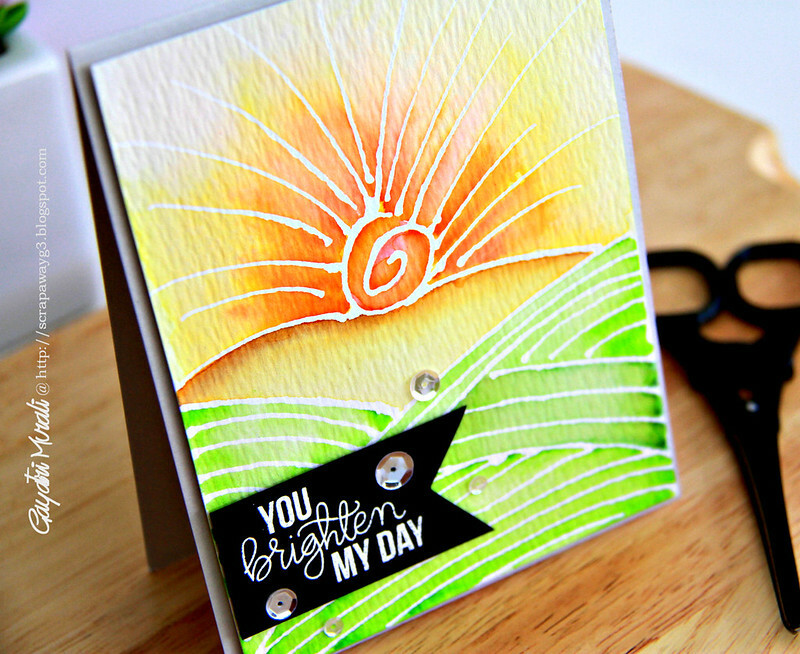 But I was so impressed with Debby’s card on her blog that I definitely wanted to CASE her card. 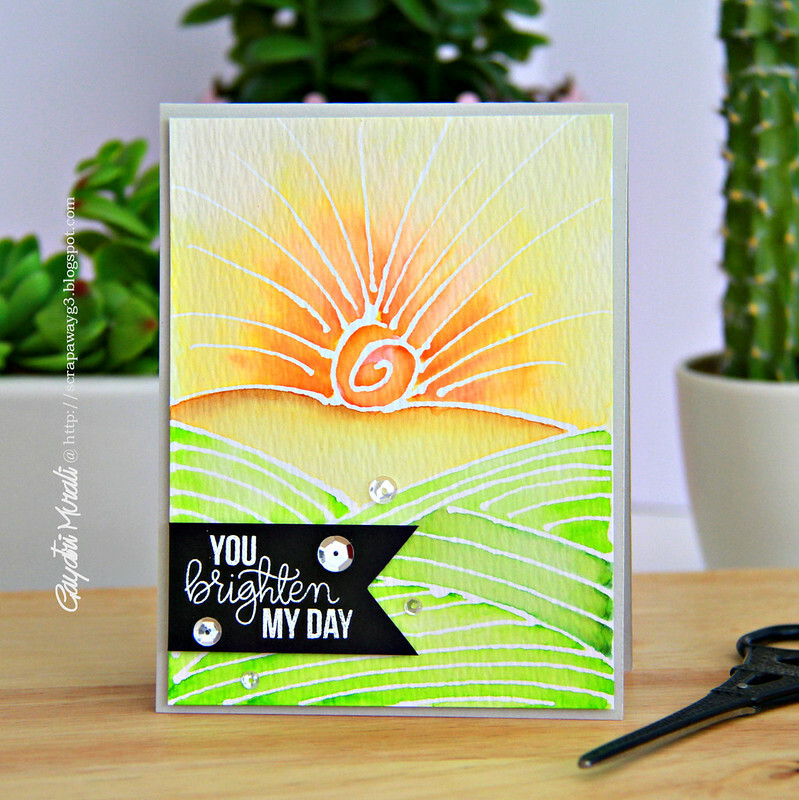 Here is my take on Debby’s card using masking fluid and watercolouring. The Zig Real Brush pens are great for watercoloring. I get so much control over where I want my colours to pool and where I want them washed out. Just love them. I can also blend colours with ease. Freehand drawing with masking fluid definitely need practicing. My fluid was watery and I kind of got some big blobs but with practice, I was able to get some thin lines. I again have to practice various patterns but imagine the possibilities of make you own background. Love the idea. I also like the idea of flicking the masking fluid and sponging inks. The white specs on the coloured background will look beautiful. Anyway, I am enjoying the Mask-erade class as you can see. Hope you are too. Wow, unusual card. 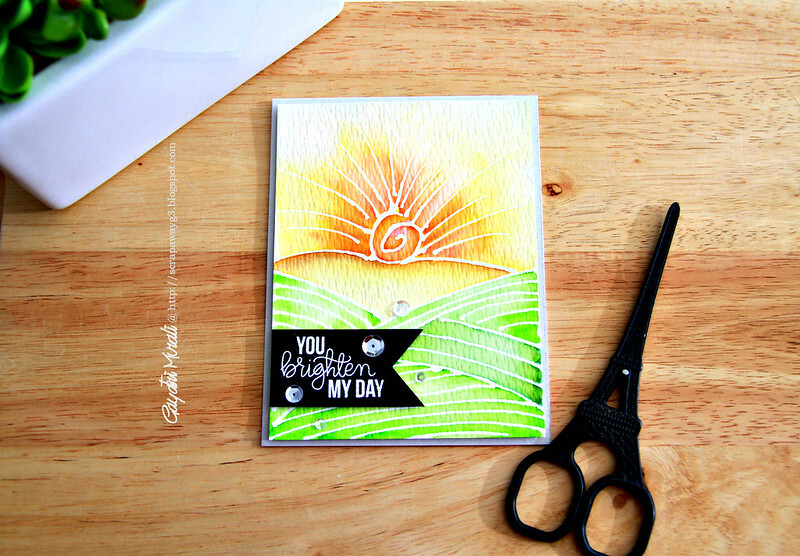 I love these wonderful intense colors and the beautiful pattern of masking. The huge inspiration. So gorgeous and fun! I was trying not to get on the Zig color brush pens bandwagon, but the colors and effects are so pretty!